Mustard envelope clutch and "Moltz" flower clutch - Aldo. Taupe grey quilted clutch - Franchesca's Collections. I orginally spilled my love for oversized clutches last month. Luckily, I think my quest has been successful! I love all three because I own nothing like them. Sure I have a black wristlet from Express and a tan clutch by Jessica Simpson that I found at TJ-Maxx. I like those too. But these three pretties are much more fun and unexpected. They don't necessarily blend in to my outfits as my previous little bags do; they make an outfit. I've come to realize that I'm very, very envious of accessory editors. How delighted I would be to work at Elle or Vogue and stare at bags and jewelry all day long! On another unrelated note, I'm heading to Sephora after work today and using my VIB coupon. I only have a couple of Urban Decay products in mind. I'm curious about the new Tarte Amazonian blushes too. Have any of you tried them? I know MakeupbyTiffanyD loves them! I already have my Sephora cart full ready to order! Love the new clutches! I just placed my first order at Sephora, lol. I'm going to try out the new Illamasqua blush and bronzer--I'm excited. Love, love and love! All three are beautiful! I need to get a cute clutch one of these days. Super cute clutches! LOVE the mustard one! I think I need that in my life. 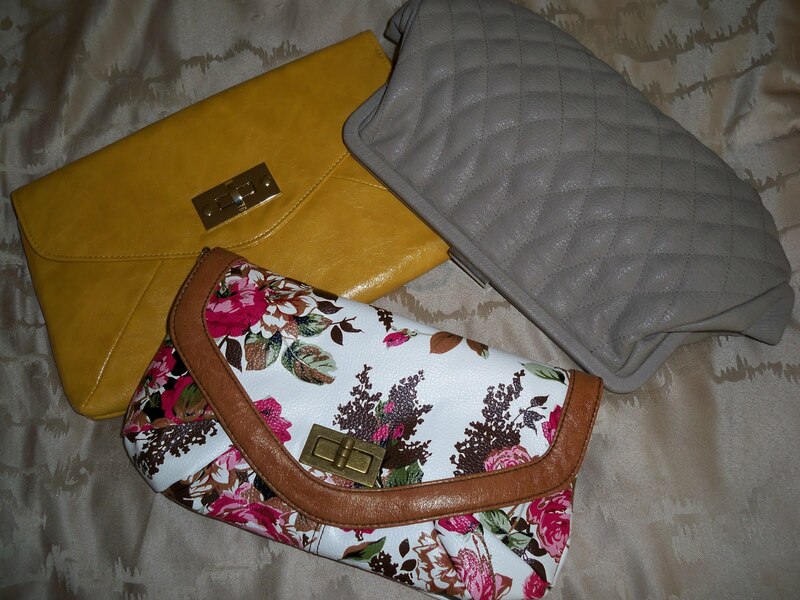 Lovely clutches - especially the grey one. I'm curious about the Tarte blushes too - I swatched them the last time I was in Sephora...if they really last 12 hours, that would be amazing! 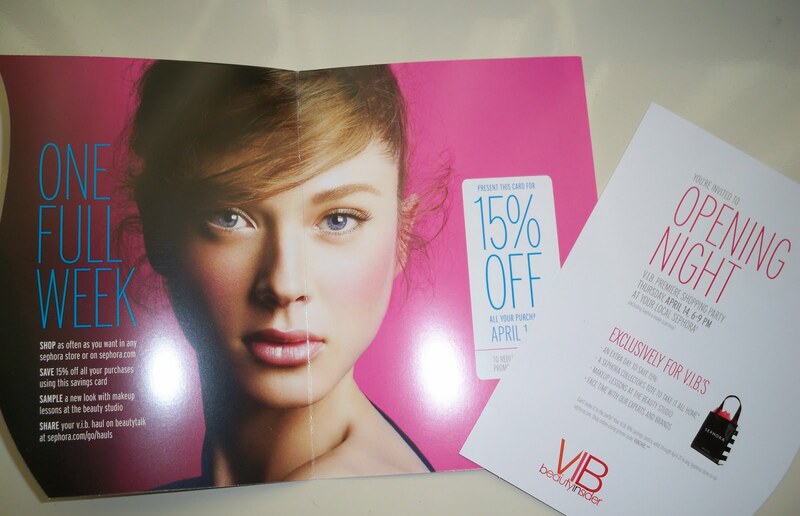 Sadly, I don't think Canada is having the VIB 15% off event...sulk LOL! Beautiful clutches!! I love all 3 of them! Oooo, the gray quilted clutch looks SO CUTE! And it's awesome to have something really out of the ordinary as an accessory sometimes -- who says everything needs to match or be incorporated? And I'm also super jealous of your VIB coupon, haha! I sure could use a Sephora trip myself! Thank you girls! I hope you all had a wonderful day! ADORABLE clutches. Love the mustard. Noel your new clutches are so cute! Love them! lovely clutches.. i need to buy some stuff from sephora! Thanks again girls =) I actually didn't make it to Sephora last night! I was so tired after work that I didn't feel up to it. But I may go later today, since the coupon is good until the 21st I believe. I love the Floral bag! So pretty! I haven't tried the tarte blushes, but people keep saying how great they are! Love those clutches...mustard for that unexpected punch of color and florals to go with all the bright bold color blocking...What great finds! Can't wait to see how you style them!